Carbon pencil. As depicted on Plate V- Laura Knight Book of Drawings 1923. 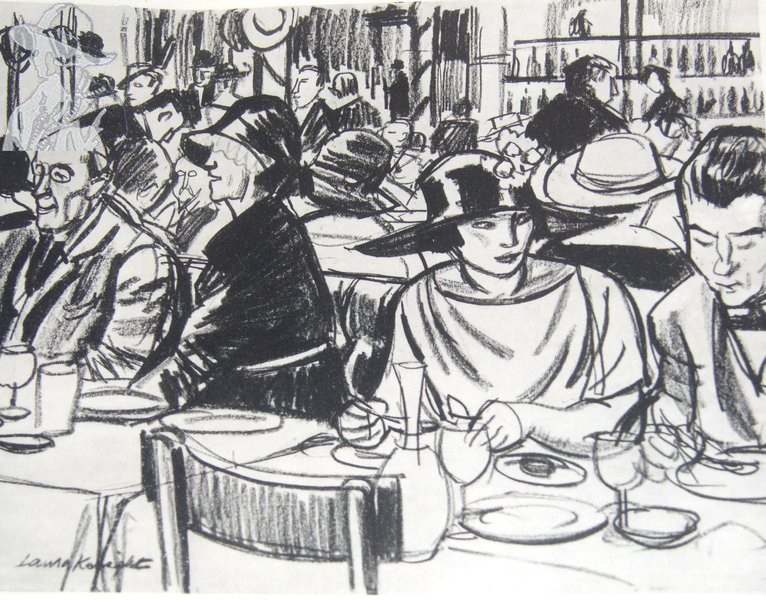 The artist and her husband used to regularly use this café to meet her artistic, musical literary and other friends.